We have been developing wordpress websites since 2007. Our team is one of the best experienced team on the web. 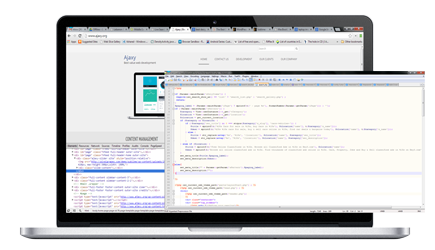 Ajaxy company is a recognized name in the web development industry. For the past five years, we’ve been providing our customer with inventing, conceptualizing, managing, developing and deploying websites, plugins, themes and applications that our customers love. Our original, idea-driven apps and sites can be found across a broad range of industries, from education and real estate to health care, finance, and oil and gas. We like to believe that our team of developers has the power to impact and enable every industry. Ajaxy offers many web development services for all types of wordpress sites. Our team is ready to develop all types of plugins, themes, tools and design (Including setup, importing data, backups, server maintenance, styles changing and/or fixing).